Peaceburgh.com has invited me to talk about how my astrological fascination has grown through the years, and into a business. It is a pretty intriguing story but not in ways you might imagine. It has had, like all things, a life of its own. While attending WVU in 1971, a young lady cast my first “natal chart.” She hummed and hawed over it, and finally gave me what seemed distinctly like a curse or two. Back in those days, that was kind of the feeling of many astrological readings. The planets were out to get you. Grrr. So, I furiously and steadily started studying every book I could find. Having a great bookstore run by Harriet and Len Friedlander at the “Sign of Aquarius Bookstore” in Shadyside/Pittsburgh was a big help in those days. Of course, I learned to do all the challenging calculations by hand which provided me with an excellent basis that those computer-learned students of today miss out on. Doing charts by hand gives you a feel for a chart that you can get by no other method. It’s a mystical experience. My main instinct was to find out for myself, did this astrological “stuff” work or not. In the background of my mind were the ever-reverberating curses that had been laid upon me by my first “reading.” It did not take me long at all to realize that she should not have been reading for anyone else and certainly needed a full course in bed-side manner. But, those were the days. So, very quickly, I became hook-line-and-sinker convinced 100% of the validity of the science. Yet, it became scarily obvious how frightening and overwhelming the task would be to get anywhere near mastering this art. Yet, I plugged along and along and before you knew it, I did my first professional reading in 1981. By 1982 I was not only enjoying teaching my first class but had my own “Saturday Morning Astrology Radio Show” in Bellaire, OH, next to Wheeling. I think the show probably reached 100 houses. Laugh Out Loud. But, THAT was where I cut my teeth. Reading for complete strangers without even seeing their faces was quite the challenge having only 60 seconds of commercial time to construct and prepare a reading that made at least some kind of individuated sense. I had to work fast, looking at the main constructs or symbols in the chart. I also learned to separate the pure book translation interpretations and compare those to the actual manifestations people were experiencing. A very large gulf became apparent. Theory vs practicality. Keep in mind: early astrologers get the bejesus scared out of them as they are learning. Old volumes of astrological wisdom had their medieval effect of getting you so worked up as planets were approaching your own chart – oh my! Two days till Mars hits me, one day till Mars hits me…. you learn to sweat, and after a long time, ducking and hiding from approaching eclipses, the astrologer learns to relax and go with the flow. This is otherwise known as life. Non-astrologers don’t benefit from this luxury. So, as time went on, I read many articles on chart interpretations done by a wide variety of astrologers and I quickly saw why so many of them quit. Eventually, I found out why. Many were afraid to be wrong. And, there is no possible way to learn to master this tricky sub-orbital business without being sort of “wrong” for a long period of time before you get it right. You see, you’re not really “wrong” at first, it’s just that it’s quite the predisposition to think you can specifically tell someone exactly what’s going to happen and when. “Mr. Right will come around the corner of 3rd and Vine at 2:34 PM next Saturday and sweep you off of your feet and you will live in marital bliss forever.” That’s what many people want to hear. And, as an astrologer, you must distance yourself from what people want to hear. That’s clearly number 1. Well, predicting specific, concrete manifestations isn’t how it works – at all. And that is exactly why there are so few astrologers. So, what does happen? After a while, I began to trend towards what is called Humanistic Astrology. That means that the planetary energies are seen as your personal energies, representative of moving, throbbing and yearning energy matrices inside of you that long to manifest! They want out. Thanks to authors Michael Meyer, Dane Rudhyar and Stephen Arroyo, my astro-mind was finally starting to take shape. I started to see that when I made interpretation “A” of a person’s chart, if it wasn’t “right”, it was close! And that was very important. You see, people are complicated psycho-bio-units – real complicated. And then, they try to fool you with their particular veneer and that’s usually not usually done on purpose! We’re all doing our best. So, it became real investigative work which really appealed to my inquisitive nature. Even so, it started to become apparent that something was “controlling” all of us from deep inside. At the same time I had been reading scores of books on spiritual growth and consciousness development. These were the early days and Ram Dass was assigned as my guide. No one told it like-it-is the way he did. He’s on the very bottom of the list of pussyfooters. Are you going on the trip or not? Well, I was, and astrology just happens to fit in perfectly with almost any path you are on. It really does. After I stopped trying to turn all of my students into practicing astrologers, I was much more successful and so were they. So, I started to see that we are really connected to everything else even though most of us simply talk as if we are. This spelled it out. Now, when I spoke to people, the planets didn’t represent energies “out there” affecting us; they are in us – are you in sync with them? As a matter of fact, they are you. There is no difference, welcome to the quantum world. Things got a lot easier, and I became more accurate. The veil was thinning and Cosmopolitan Magazine was still quite busy printing its Bedtime Astrologer… and getting their reader’s hopes up. But, what’s ironic is that these very horoscopes which are mainly real astrology’s bane are the very things that have kept astrology alive. Everybody’s got one. Long years interceded with family, child-rearing and careers. Still, I wrote charts on every napkin, newspaper column, backs of record albums, bookmarkers, everywhere I could find. When you get the bug, well, you just have to know everybody’s chart. From serial killers to saints. From actresses to biologist. From athletes to politicians. If you were famous, I had to know about it – where did it come from? And in almost every case, their “personality” is there staring at you from the symbols on the paper or screen. Hard to believe, I know. Even so, I never try to convert anyone. Sometimes it’s a fuzzy characterization as many charts have incorrect birth times or none at all. That makes a very big difference for the interpreter. Chart translation is a very challenging endeavor. So who are we, or better yet, what are we? After seeing each of us as a new permutation of various astrological patterns, just where were we coming from? I stayed with Humanistic Astrology for a long, long time. Gradually, it started to segue into what I call Intuitive Astrology which I cannot describe for you. I knew what I knew, I knew what didn’t fit, and I knew what did. I had no idea how, and to this day I don’t want to know. I don’t want it shrink-wrapped and ruined. I’ve heard some call “my kind” prophetic. I have no idea – I just stick out my antennae and start talking. Eventually my trail ended up in Pittsburgh and my own office for the first time. Now, I was really learning. Real people. Real Guinea pigs. I always learned the most from talking to people, asking them questions, dialoguing; listening to how they interpreted what was going on. I watched closely how their story mirrored the planetary movements on my computer program. I learned the lingo. Eventually, and very amusingly, I started to see that almost to the minute it was taking me 40 minutes into the hour to turn the dial on each client’s personal combination lock. Click. Spin. Click. I got it. Then, I just explain it. That’s why I have emphasized to my students to not give up. Don’t stop trying after you start to feel like you are ice cold or lukewarm. Most times I have found that the interpretation trail I was following was exactly on course, it’s just that people use different phrases that explain similar experiences. However, the chart is always right. Always. Another leap forward took place about 7 years ago when I finally allowed my “psychic” or intuitive side to be heard. I’ve always taken pride in saying nothing if I didn’t know something for sure. Astrological truths had to pass the test before I embraced them. But, I couldn’t resist it anymore. This “somewhat irrational” side of me wanted to speak. And once I started to at least entertain what “it” was saying: VROOOOM, my skills took off! I was knowing for sure what something meant in a chart. Now, you may have better intuitive skills than I, but, I learned that until you give that intuitive part expression, you’re just not going to go very far as any type of soothsayer. For years, I did attend developmental class at the First Spiritualist Church in McKeesport. I was told by a very experienced Lily Dale Reverend that I was a medium, not a psychic. After years of trying – nothing, and I do mean nothing. I couldn’t make the trumpet wiggle let alone toot. I have no affinity or interest in collaborating with those who have passed. Even so, I did find success with psychometry! Whenever I held people’s car keys in my hands, I started to see pictures! I don’t know how that works either. But, a medium, I was not. For, what is the intuitive part anyway but God’s silent voice within? It’s not you doing the reading anyway. There’s the trap. I try not to get hung up on me. It feels like me; I am the one doing the studying and scheduling and driving and talking, but it really has NOTHING to do with me at all. It’s just the good karma of the client receiving the Holy Spirit’s next message (In my opinion.) As they say, I’m just the messenger – if that. I’m just watching the show. So, it keeps growing and evolving. I suffered many years of being “stuck” at a plateau of abilities; stunted growth can be very painful. Wondering. Wishing. Then, He has plans for you. It simply exploded, just like my charts said they would. I started to discover what are called “Harmonic” charts. 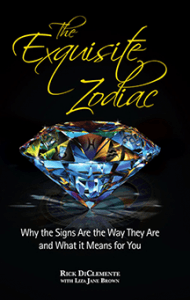 They are derivative charts based upon the natal chart and explain many of the things an astrologer is looking for when the basic natal chart doesn’t have all the answers. Using the Harmonic charts heavily for the past 10 years, I have become very satisfied that I can see mostly what I need to see. I’ve learned to listen. The client is telling you their story, can you hear it? They want help. They want to be “unstuck.” Spirit guides me to the applicable chart or charts. The room is full of spirit. That’s all I can say. I’m so reticent to ruin it with over-analysis or labeling. Now, it’s all become even simpler. Clients are sent to me, and precisely at the right time, too. I have no idea how this works and I don’t care. I just accept it, appreciate it and address it with humility. If they have to reschedule, I know the planets will be precisely where they need to be when we do meet. I take people’s issues very seriously. After all, almost everyone has the same story. Looking for love, looking for reconnection with their God-self. I guess that’s where the name Starself came from, I didn’t name it, it was ready to exist. I simplify almost everyone’s history because I just don’t have the time to ruminate over every experience they’ve had growing up. My single question devised to ferret out how their experience was with their parents was is simple. I ask: “Without thinking, how did it FEEL when you were with your mother (and then the father) between the ages of 5 and 15?” That’s it, that’s all I need, in most cases in order to see where they are “coming from.” What did they have to contend with during their formative years? Then, I triangulate between the natal chart and the 12th Harmonic chart (the karmic or past-life chart based on Pisces). It usually tells me what their past lives challenges were and what issues they are here to work on in this incarnation. Eventually, I look at the 6th harmonic chart (based on Chiron) to discover their life-purpose or destiny. The three charts blend together beautifully and tell the story. Almost EVERYBODY is obsessed with discovering their dharma or life purpose nowadays. The Piscean/Chironic collective is simply demanding it! We are to become light-workers and help each other out, or it’s bye-byes, imho. Many times I cannot ascertain a particular client’s destiny because he or she is just too blocked emotionally; too much baggage and they usually know it, too. Quickly, it seems, we identify where the block is and in less time than you might think, they get clear and KNOW what they want and need to do. Like a moth to the flame – that’s Chiron. People are really getting smarter and more intuitive in general as we evolve rapidly in this New Era. I’ll never forget the great lesson I got in 1983 when I was a newbie on the radio. I took a commercial and charted a certain Libra woman who was getting bombarded by many heavy planets. I said to myself, “Oh my…!” When she got on the air, I hesitantly asked her, “How are you doing?” She said, “Fine. Good!” And that just threw me. Here was the perfect example of a person who had stayed balanced for most of her life and continued to do so under tremendous planetary pressures. This taught me a great lesson, i.e., the planets are not out to get you; if you stay in sync with your inner promptings and respect yourself, you need not suffer too much. That has always stayed with me. This is the NUMBER ONE REASON that you cannot predict what someone is going to do with their natural or archetypal tendencies. You never know. I’ve had so many scrambled, poached and easy-over eggs on my face, that I am very careful with how I interview or exchange with a client. I’m always wary of any preconceived notions I have, even after studying a client’s chart beforehand. Astrology will always surprise you. Even better, if you really stay in touch with yourself, you don’t need an astrologer. The more experienced you become as an astrologer, the more people unfold right in front of you without you having to fish. Fishing is horrible. They want out. They want to sun themselves on the lawn. It is my job to help them. My best days are when the client leaves my office, more connected to their inner Divine Source and doesn’t need to see me again. As always, may your find your Starself!